Starting east of the Union Hospital near 6th Ave. N.E. and Fairford Street. 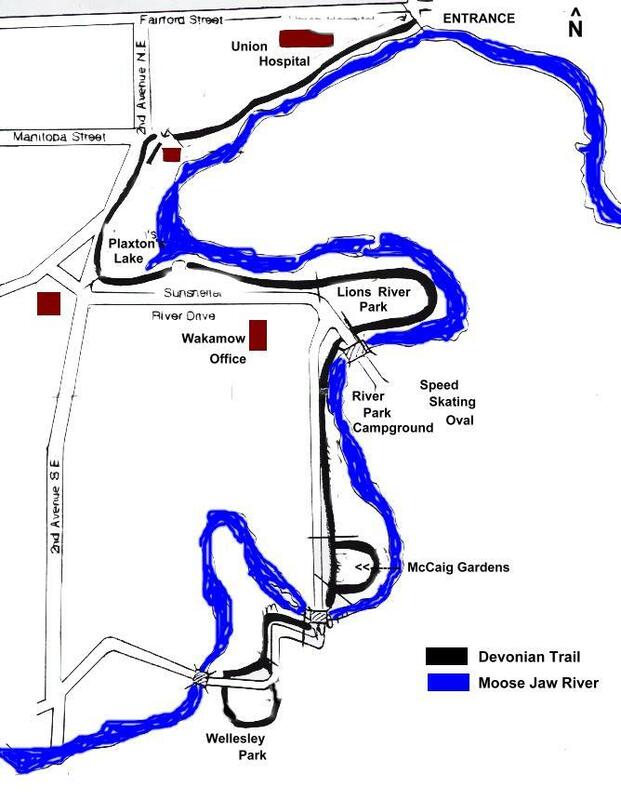 The Devonian Trail is a 4.2km pedestrian & cycling asphalt pathway gonig through the eastern part of Wakamow. Including Plaxton's Lake, Lions River Park, Rotary River Park and Kinsmen Wellesley Park.